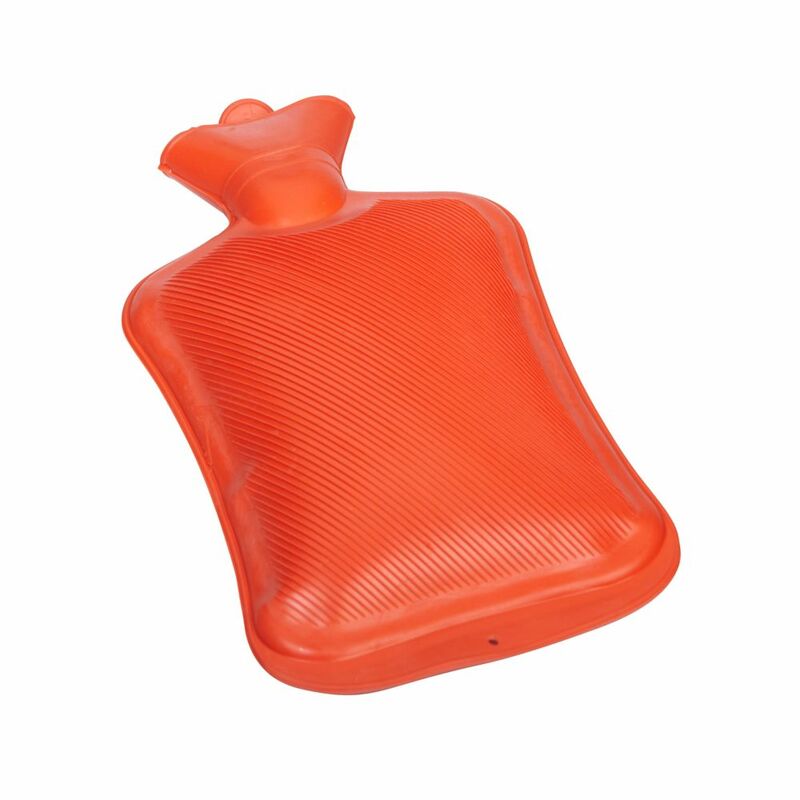 This is just like the hot water bottle your mom used to use! Fill the Mabis Rubber Water Bottle with warm water from the tap and place it between the sheets to keep your feet warm at night. It's also great for staying warm under a throw. Children will especially appreciate the cozy comfort when they go to bed at night. Heat therapy and cold therapy can help relieve pain and promote healing. Place the bottle on the affected area for 10 to 15 minutes per hour. The flexible bottle will conform to your body. Bottle Fresh tablets use an effervescent bubbling action formula, which penetrates deep to dissolve the residue, dirt and grime that builds up in your reusable water bottles. Our convenient pre-measured tablets deliver a powerful, sparkling clean that you can see and taste. The fast acting bubbling action starts working immediately and leaves behind a fresh, light and clean mint scent. Bottle Fresh tablets are safe to use with no harmful chemicals and they won't create any dangerous by-products as all the active ingredients revert safely and cleanly back to oxygen. Our tablets are environmentally friendly and biodegradable. Use once a week or more/less frequently as required based on usage. Try our 2 Pack (2 Packages with 10 tablets in each package). Honey-Can-Do KCH-01312 3-Pack Steel Storage Canister Containers, Blue. Steel containers may be nested inside of each other, saves space when necessary. Pressure fitted lids keep contents safe inside. Clear windows let you can check supply levels of contents inside containers. Comes in 1.8L, 1.2L, and .8-liter sizes, allowing you flexibility to store a variety of contents. Round shaped containers are easy to clean and will provide years of worry-free use. Honey-Can-Do SFT-02062 Dinnerware Storage Box, Natural/Brown. Store up to 12 standard-sized salad plates or bowls in this 10x10 inch storage box. The clear view window lets you easily see the contents while the lift off lid simplifies access. Protective inserts help safeguard against chips or scratches. Remove the dinnerware inserts and this storage box turns into a great closet organization tool. Store scarves, ties, socks, gloves, or hats. In classic off-white with brown accents, this stackable storage box will instantly upgrade any pantry or closet. Made of polyester and cotton canvas. Rubber Water Bottle This is just like the hot water bottle your mom used to use! Fill the Mabis Rubber Water Bottle with warm water from the tap and place it between the sheets to keep your feet warm at night. It's also great for staying warm under a throw. Children will especially appreciate the cozy comfort when they go to bed at night. Heat therapy and cold therapy can help relieve pain and promote healing. Place the bottle on the affected area for 10 to 15 minutes per hour. The flexible bottle will conform to your body. Rubber Water Bottle is rated 3.6 out of 5 by 21. Rated 5 out of 5 by Mita from This is really good it was right on schedule and... This is really good it was right on schedule and it is work perfect. Rated 1 out of 5 by Rao from It doesn’t hold heat!... It doesn’t hold heat! Rated 5 out of 5 by Geoffrey from Most are made of plastic, this is actual rubber, which... Most are made of plastic, this is actual rubber, which I think is much better.Excellent! Rated 3 out of 5 by Ariel from Standard rubber bottle, nothing outstanding. Also, the warranty card that... Standard rubber bottle, nothing outstanding. Also, the warranty card that comes with it is useless, the website that it mentions does not exist. Rated 1 out of 5 by Evelyn from I wish the ribs were eliminated. It's harder to... I wish the ribs were eliminated. It's harder to wipe off water. And it would have been nice if it's a bit thicker.